Heat olive oil in a nonstick skillet over medium-high heat. Season chicken with salt and pepper. Cook and stir chicken in the hot oil until chicken is no longer pink in the center, about 3 to 5 minutes. 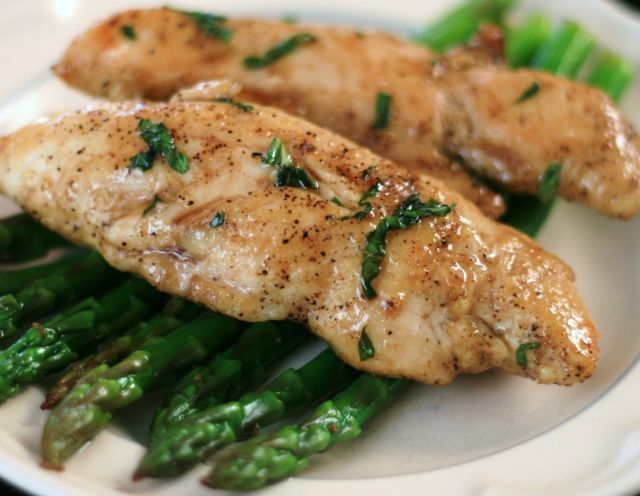 Stir basil, honey, and balsamic vinegar into chicken and cook for 1 more minute. No comments for: "Lucky's Quickie Chickie Recipe"